The sunshine and warm weather are probably the main reasons you chose Mexico for your special event, but they are not always conducive to producing the best photos. That’s OK. I’m here to help you have amazing photos you can cherish. That’s why I am sharing with you these DO’s and DON’Ts of how to avoid looking clammy in beach photos and being amazing in hot weather conditions. Marilyn was aware of the Cancun weather. 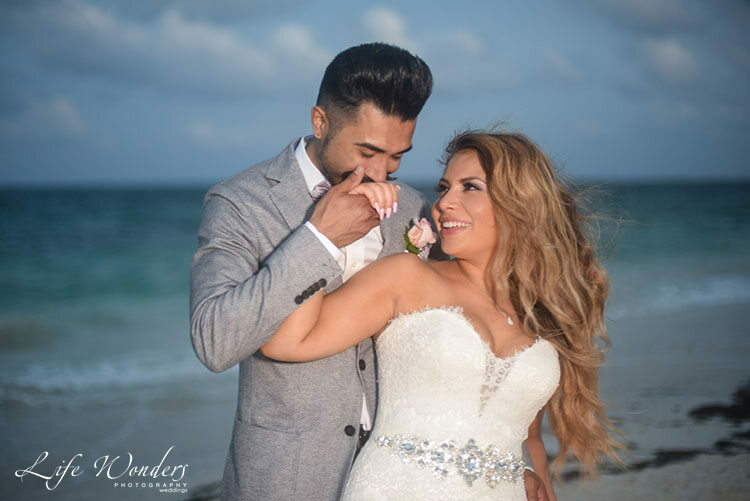 Since she was completely prepared, she looked fresh and amazing in every single photo of her beach wedding. Don’t wear heavy clothes. If your wedding venue will be in a beach setting, then you will need to go non traditional in your wedding attire. I have already posted an exclusive article about beach wedding groom attire that you can read. Don’t get hot and bothered. Don’t wear heavy make-up as this could run if temperatures soar. Also, I have written my favorite 8 makeup tips for a fantastic beach wedding photo shoot. Wear light clothing. The lighter your gown is the better. Check out my tips for a simple beach wedding dress for your destination wedding. Wear matte makeup and light layers to avoid adding any more shimmer to your face. Have a small hand fan with you and wave it to your heart’s desire. Have groom wear an undershirt; it will keep him cool and wick away any sweat. Here is Marilyn still having fun and looking fresh! 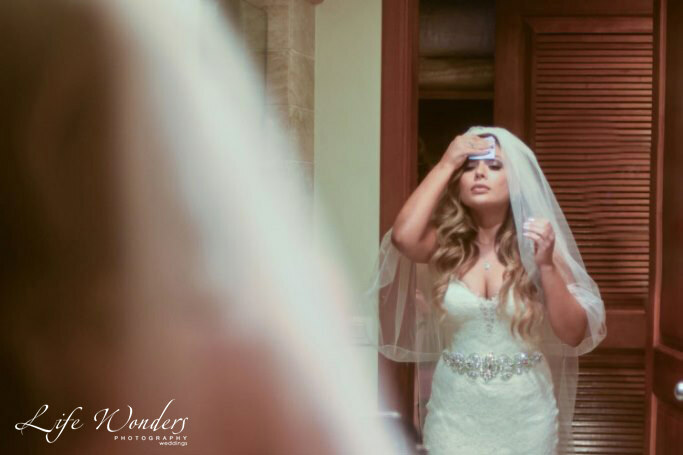 In my experience living in this warm country and as a wedding photographer in Mexico, there is one more essential thing you can do to take any excess of shine away. I invite you to sign up below and receive my 52 Secret Tips to Having Amazing Photos. Don’t miss this secret beach wedding tip, it is a game changer. If it is not, write to me and I will personally give you a discount on your wedding photography. That’s how sure I am this secret tip will provide you a more relaxed wedding day!